Worry dogs us all. The famous and obscure; the wealthy and the indigent; youth and the elderly—few have mastered the secret of casting all their cares on the Lord and leaving them in his hands. Yet it can be done. 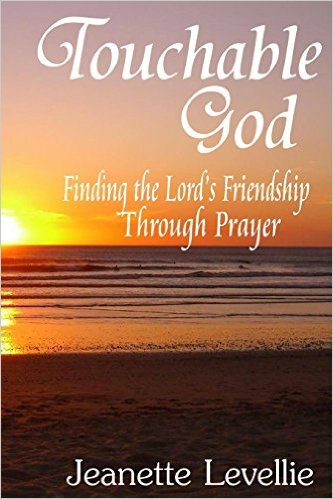 With the Holy Spirit’s help and the prayers of a good friend, we can learn to rest in the Lord during fearful times. I hope you’ll consider me that friend today as you read the words of this prayer. I hope it will encourage you on your journey to touch God. Lord, my friend is not only worried; she’s also mad at herself for worrying. She knows You’ve promised never to leave her or forsake her. Yet she frets and agonizes over everything, from what she imagines people think of her to the threat of cancer. Her worries torment her, slithering at her feet and perching on her shoulders, hissing dark thoughts and cackling what-ifs. Very real what-ifs, Lord, or she would dismiss them as foolish. Yet they are not more real than Your love for her, Your care for her. For You are her Good Shepherd. Please reassure her that, should she entangle herself in the thorn bush of troubles or sickness, You will remove every thorn, pull her free, and carry her on Your shoulders to safety. Convince her that if someone else should trick her into wandering from the path You’ve planned for her, if she should get lost and be unable to hear You call, You would search for her until You found her and brought her home. Should a star fall from the sky and burn her, You would heal her. Should she jump to catch a star and fall down, You would bandage her bruises, pick her up, and help her stand. Let her know that she is never far from Your help. Every beat of Your heart is for her; Your every breath is to see her prosper and be protected. You never abandon Your sheep. Never. Even when it seems You have walked away, You are still right there beside her, cherishing her, holding her close to Your heart. In Jesus’ name, so be it. 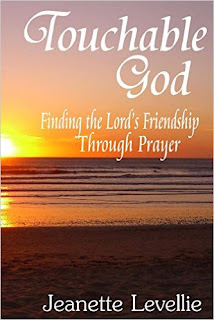 The above prayer is an excerpt from Jeanette Levellie’s newest book Touchable God: Finding the Lord’s Friendship Through Prayer. Disclaimer: I endorsed this book but didn't receive any payment for the recommendation or this post. Writers and Readers: How do you deal with worry? 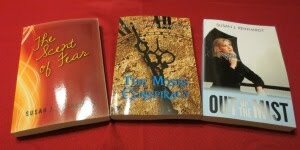 Thanks for visiting here at Christian Writer/Reader Connection. 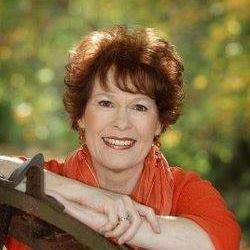 Thanks for having me, Suze! I appreciate the opportunity to share some of my newest "baby" with your readers, and worry is something we seem to always need to fight. Karen: I'm so glad. I need it, too! LOL!